A swimming pool is so much more than a hole in the ground, filled with water. 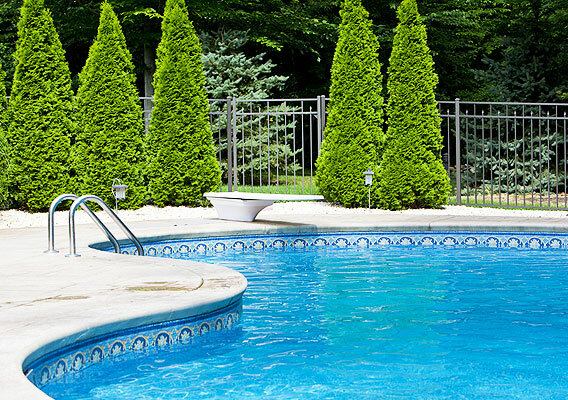 There are so many shapes, styles, features and more, that will help make your pool YOUR pool. Consider how the shape of the pool fits with your yard not only but structure, but by style and beauty. Add lighting to enhance the mood and atmosphere, connect a spa for relaxation, tie in your landscaping, and so much more. Our company installs vinyl swimming pool liners for both in-ground and above ground pool systems in Southeastern Wisconsin.. Some of our pool liner replacement specialists have been doing this work for over 20 years. We have seen the good, the bad and the ugly. We know our stuff! Just because you already have a pool, it doesn’t mean you can’t renovate or add one of many water or lighting features. 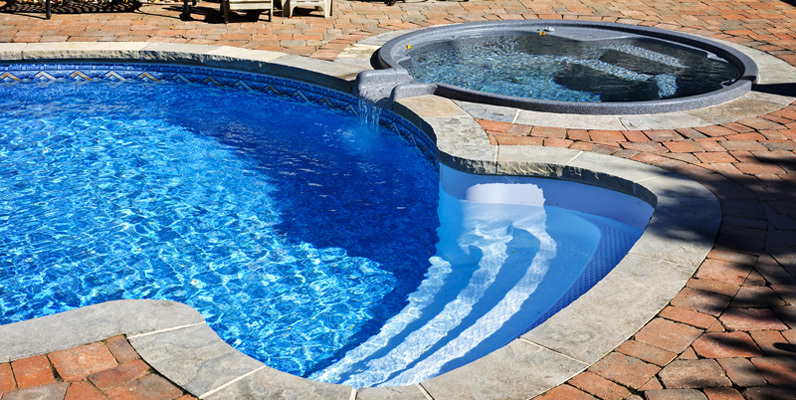 Swimming pool remodeling can include items such as installing custom lighting, waterfalls, spas, custom rock features and waterfalls, and so much more. Giving your pool a facelift can mean the difference between a bland outdoor play place and your own private resort. What a great way to expand the outdoor living space and enjoy the fabulous Wisconsin weather. 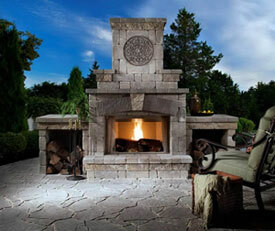 The outdoor kitchen becomes area that can extend living space of your home. Add a pergola with a fireplace and you have our most requested outdoor living project. Water Features are a good way to add beauty to your pool. 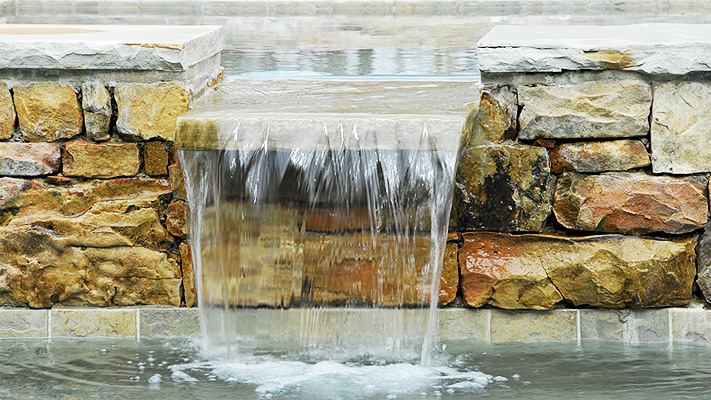 A water feature is one or more items from a range of fountains, cascades, waterfalls, water walls or anything that adds to the swimming pool that make a relaxing sound to create the finishing touch to your project.